Bollywood, jazz, funk and fitness dance moves, synchronized to popular Bollywood music at 200 beats per minute. Reema does a lot of work in the corporate social responsibility domain (CSR) with many Children and Girl foundations like Samarpan, the Rai Foundation. Relations function for AppLabs, the world’s largest independent testing, quality management and certification Solutions Company. She is also the head of AppLabs Charitable Trust (ACT), the philanthropic wing of AppLabs and spearheads all the ACT activities with a support of over 300 volunteers, with a focus on education, health and other charitable programs. Reema has recently been selected to be a panel member on the CSR Panel of CII Andhra Pradesh for the planning and implementation of CII’s National CSR Program in the state. Reema acts as a facilitator for a majority of the programs. She has single-handedly evangelizing the move towards corporate social responsibility. The objectives of ACT are defined quarterly by Reema along with a team of employees who form the decision-making committee. In the past couple of years great strides have been made towards integrating CSR into the core culture of the company under her leadership. She is closely involved in working with Rakshana Deepam, a home for over 40 men, women and children, all HIV patients. Reema and the ACT team regularly distribute books, medicines, clothes shoes and toys and above all spend some valuable time interacting with them. ACT members from our Europe/India and US offices visit this place regularly and screen some latest movies and interact with the inmates. Children from the home are encouraged to visit AppLabs’ facilities in Hyderabad. Reema spends time interacting with the children and also does occasional book reading for them while software engineers teach the children some basics of Computers. In an effort to create consciousness and awareness about HIV/AIDS and the importance of fighting it, she along with her team reaches out to its employees globally, through initiatives such as organizing poster campaigns, publishing articles in the monthly employee newsletter and sending out news alerts on the subject. AppLabs also regularly interacts with the media globally to highlight some of the key issues related to fighting the HIV/AIDS disease, as well as to communicate what steps corporates and NGOs can take in partnership to curb this dreaded disease and to improve the lives of affected patients. Recognizing the good work she is currently undertaking in combating HIV infection and caring for those living with HIV/AIDS, Confederation of India Industries (CII), the leading industry association of India has invited AppLabs to be part of CII National CSR Panel. Teresa Charitable Trust which supports old age homes in Andhra Pradesh and Orissa, and provides shelter to over 300 destitute patients suffering from HIV and tuberculosis. The team makes quarterly donations of life saving medicines to the organization. Also, ACT members regularly visit this home and spend some valuable time with the inmates apart from making regular material donations. 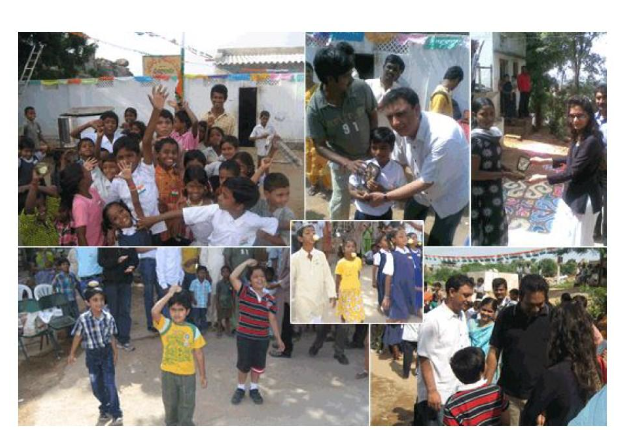 Chiranjeevi Charitable Trust (CCT). 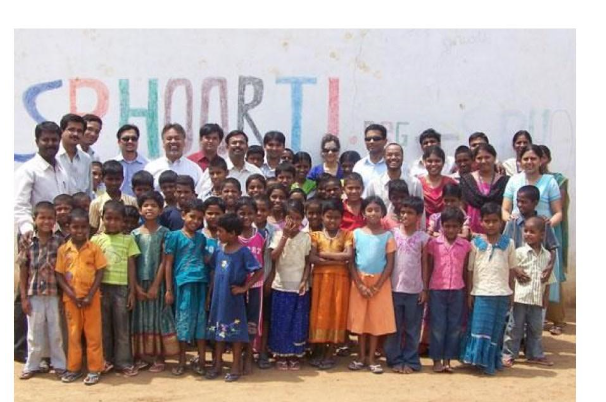 CCT is a non-profit organisation started by popular movie star of Southern India Chiranjeevi. 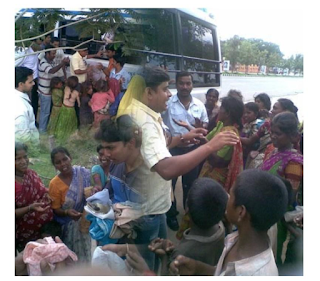 With over 3.5lacs registered members, it is one of the largest NGO in the state of Andhra Pradesh. In primary education, we work with GPS Ambedkar School which houses over 130 boys and girls from Class I to Class 5; AppLabs has begun the construction of the school building in collaboration with the State Government of Andhra Pradesh. Reema played an active role in collaborating with the state government’s Sarva Shiksha Abhyan (SSA) department to work on a public– private partnership basis to fund the school building construction. The school will be inaugurated in December ’08. Hyderabad. The other 3 private schools have around 200 students, most of them orphans aged between 3 and 11. Activities in these schools include – donation of uniforms, text books and stationary items. ACT members regularly visit the schools on special occasions like festivals and national holidays, including Independence Day and Children’s day. Many of our staff volunteers their time in these schools and this is perhaps a bigger contribution than the funds we have deployed. Reema spearheaded the launch of ‘SAMARPAN’ – a Voluntary Donation Camp. Organized twice in a year, our employees donate items such as Men’s and Women’s wear, Children’s wear, Linen / Bed Sheets / Towels, Utensils / Household goods, Stationary / Books / Toys, Toiletries, All types of Foot wear, Imperishable Food items and other miscellaneous items. The goods collected would be distributed to Spoorthi Foundation, Little Sisters of the Poor, Rakshana Deepam and Nirmal Hriday, the organizations with whom we work on various initiatives amongst others. The state of Bihar has been struck by a major calamity. Devastating floods have caused widespread loss of life and damage to property. Though relief work by the State and Central Governments and various organizations is under way, these agencies can do with any support they can get. In this hour of crisis, the AppLabs Charitable Trust has collaborated with the Confederation of Indian Industries (CII), one of the leading industry organizations in India, to come forward and help the Bihar flood victims and have donated medicines, Clothes, Bed Sheets, Blankets, Baby foods, Milk Powder and Polythene Sheets. 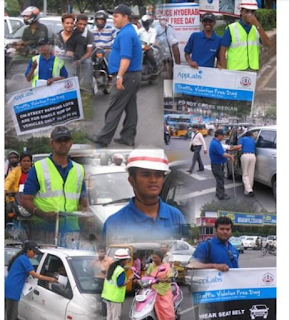 To promote civic and social welfare, amongst others she has initiated the ‘Traffic Awareness’ program in collaboration with Government of India, wherein AppLabs employees regularly distribute traffic regulation flyers in all the major traffic crossings in the city of Hyderabad, India. Blood donation camps, rebuilding lives during disasters (Bihar Floods), periodically collecting books, toys, clothes or utensils for distribution, green drive initiatives like planting saplings, visiting an orphanage or an old-age home, promoting art and literature, are some of the initiatives she is associated with. She also initiated the best CSR Volunteer award to encourage employees. The awards and appreciation notes are given to employees who actively take part in these activities to motivate others.